Once in a while, an opportunity comes along to own a home that ticks all the right boxes for everyone. Atwater by Paramount Property is designed for young and old alike to live life in free flow. It’s an integrated development that comprises two residential towers, as well as commercial & retail spaces. Atwater places you in a position to be part of this old-world charm of PJ, while living in a sleek and modern environment, complete with great F&B options and shops for everyday conveniences. Everything that Paramount Property does is backed by its commitment to build with its customers in mind. By engaging with its customers for feedback and keeping up with property trends, Paramount Property delivers functional and practical products that meet customers' expectations. Today, Paramount Property is an award-winning developer with a diverse portfolio comprising townships as well as residential, commercial, retail, educational, industrial and integrated developments. 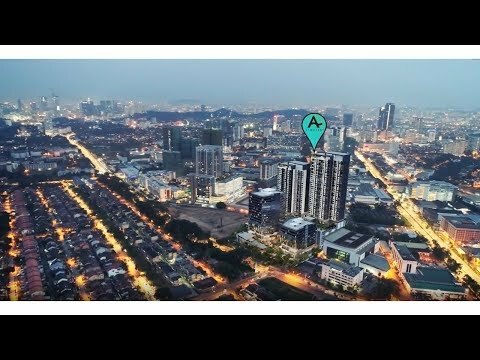 It has a reputation of being the people's developer, with a track record of close to four decades for building enduring addresses in the Klang Valley, Sungai Petani and now in Penang.